DALLAS, Nov 16, 2011/ FW/ — If Peanuts is still running, then Linus van Pelt, Charlie Brown’s friend and younger brother of Lucy van Pelt would exchange his security blanket with the new My NapPak, a combination mat, blanket and pillow all rolled into one. Invented by stay-at-home mom Beth Clampitt in Dallas, Texas, in September 2001, My NapPak epitomizes “necessity is the mother of invention”. Ten years ago, Beth Clampitt when picking her 18 month old son up from a mothers-day-out program, realized that her son was stuck to the mat from sweating and drooling and the blanket that he was using was twisted around his legs. Convinced that there was a strong interest for a sleeping product that was all-in-one, comfortable, durable enough to handle weekly washings, and which kept the child from direct contact with a mat that another child had napped on the day before, she decided to make them herself. The result – My NapPak, which became an overnight success! Versatile enough to use for a variety of situations – school and day-care, traveling and sleeping over, My NapPak became an instant favorite by mothers and day care centers. And just in time for the heavy travelling days of the holiday season, My NapPak releases two new designs: Under The Sea and Cowboys & Indians. 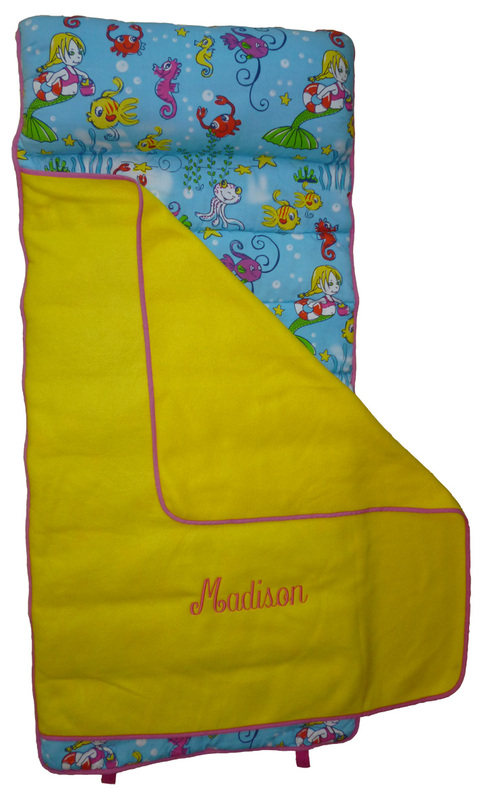 Under The Sea will send that little preschooler dreaming of great adventures with mermaids and fish friends swimming around the bubbling blue sea, while the yellow cover blanket will make them feel as warm as a summer’s day. 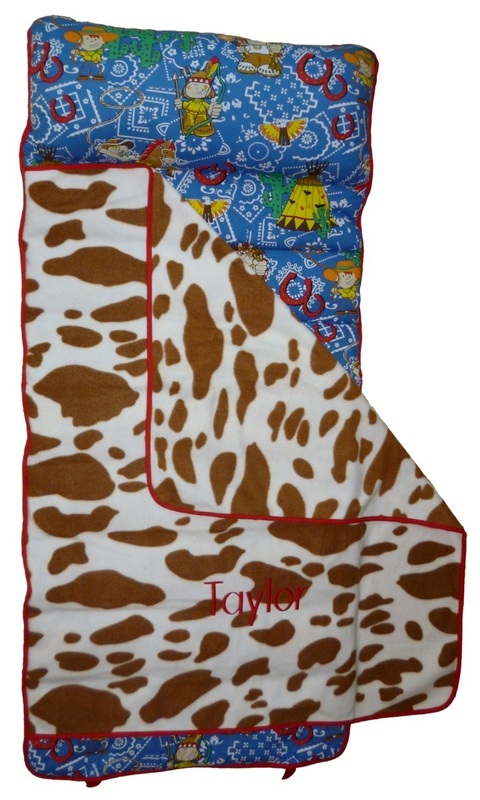 For the ruff and tumble type, the Cowboys & Indians design will be sure to have the young buck dreaming of riding horses with his friends on a magical blue sky day, with decked out cowboys all patch worked around, and a warm brown and white cowhide patterned blanket to match.